From The colour circle series, part 1. 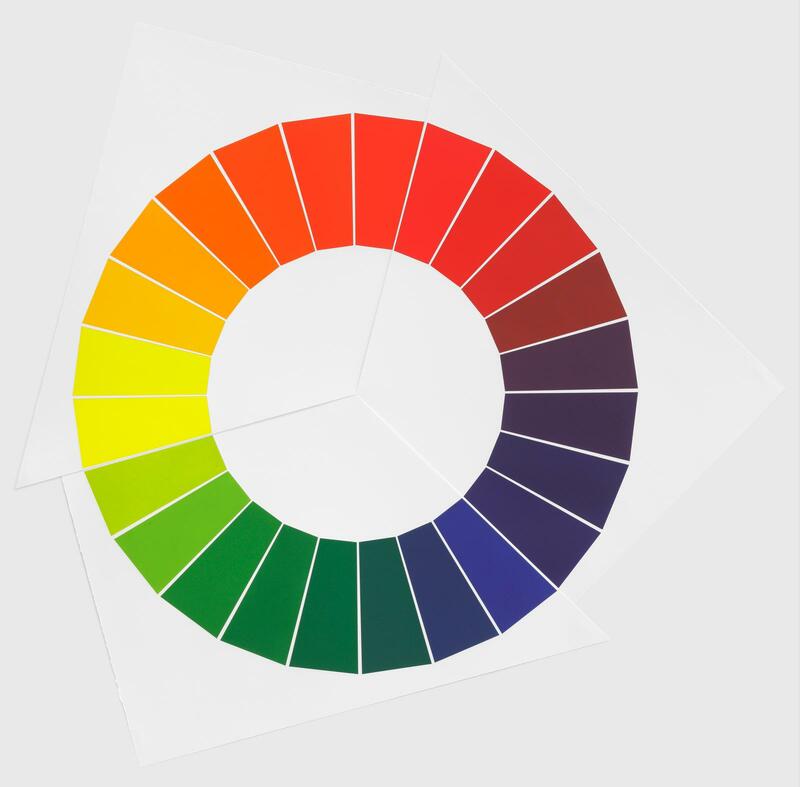 The constant colour circle is a colour wheel based on the three primary colours: red, blue and yellow, which are mixed to create a total of 21 interstitial colours. These pigments reflect Eliasson's choice of gradient hues between the primary colours. The constant colour circle functions as a base for the colour mixtures in all the other circles in The colour circle series.